Well, as one season ends, a new one begins. 2018 tax season has come to a close and “refund season” has just begun– you know, that time of year that everyone gets their check from the IRS for the excess taxes paid last year. In 2017, the IRS issued nearly 112 million refunds with the average being around $3,000 per refund. That is a sizable chunk of cash! If you received a relatively large refund, you may want to consider updating your W4 (the form that you claim your withholding allowances on) with your employer. By updating your allowances, you’ll see more money in each paycheck instead of a large lump sum in the form of a refund after tax season. Although many people like the feeling of receiving a large refund, it’s not the best use of your money. That check certainly wasn’t a thoughtful gift from Uncle Sam – you essentially loaned the government that cash interest free for the entire year. If instead you had that extra money allocated into your paycheck over the course of the year, that money could have been invested and interest would have accrued. Nonetheless, many Americans (nearly 80%) receive a refund each year. How exactly do they spend it? Do they go out and splurge on luxuries they wouldn’t otherwise purchase? The findings from the last couple of years may surprise you. Out of all taxpayers polled in a survey by GoBankingRates, around 33% of filers polled didn’t expect to receive a refund. That means that this group of people correctly anticipated their tax liabilities and correctly claimed the appropriate withholding allowances on their W-4s (yay!). That still means that around 66% of filers polled expected some form of refund (whether large or small). Out of this group, 43% planned to stash the money away into a savings account or an emergency fund. This percentage is actually up by 2% compared to 2017 and is a promising trend considering that over half of Americans admit to having less than $1,000 in their savings funds (Check out part one and part two of our “Alarming Savings Statistics” blog series from a few weeks back). Nearly a third of those expecting a refund planned to use the extra cash to pay off debt they had accrued. Again, this is a very good sign considering that many American families are self-admittedly “drowning” in debt. Another 9% planned to use some of the money to start or fund an existing retirement account. 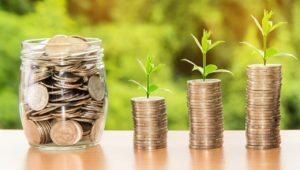 As we have discussed in many of our blogs, retirement savings is oftentimes overlooked, so the fact that nearly 10% of those expecting a refund plan to fund a retirement account is definitely encouraging. And finally, those expecting a refund who planned to splurge and spend the money on a vacation or some sort of luxury purchase was actually relatively small (around 9%-13%). If these polls are accurate, it means that many Americans are looking beyond the “here and now” and are trying to set themselves up for a more stable future. If you received a refund (whether large or small) and are part of the majority of Americans who want to invest or save for your future but don’t know how to get started, give our office a call today! Our friendly team of financial professionals can help you develop a plan and get started on saving for your future or for whatever goals you have! Best of all, the consultation is FREE. Give our office a call and get started today! Backman, Maurie. “Most Americans Expect a Tax Refund in 2018 — and That’s Not a Good Thing.” The Motley Fool, The Motley Fool, 10 Dec. 2017, www.fool.com/retirement/2017/12/10/most-americans-expect-a-tax-refund-in-2018-and-tha.aspx. Dickler, Jessica. “This is the No. 1 Thing Americans Do with Their Tax Refund.” CNBC, CNBC, 21 Feb. 2018, www.cnbc.com/2018/02/20/heres-what-americans-do-with-their-tax-refunds.html. Huddleston, Cameron. “Here’s the No. 1 Thing Americans Do with Their Tax Refund.” GoBankingRates, 18 Apr. 2018, www.gobankingrates.com/taxes/what-americans-do-with-tax-refund/.